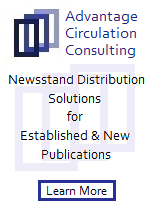 Are you thinking of launching a new magazine? Are you interested in learning what is going on in the largest South American marketplace? How about successful magazines in The Netherlands? Is there a future for digital or is it the future? Can the advertising driven magazine publishing model survive? What role will design, marketing, branding, distribution play in the future of magazines? These questions and many other will be answered at the “Re-imagining our future while we still have time” the first Magazine Innovation Center’s ACT Experience taking place in Oxford, Mississippi on Oct. 20, 21 and 22 this year. The experience, which will be conducted by some very high-powered media folks, will be intimate in nature and limited to no more than 100 participants. 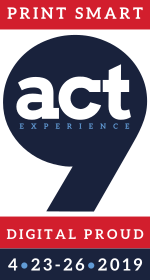 Discussions at the ACT Experience will include, but not limited to, our print magazine future, the digital world, marketing and distribution, launching new products, advertising and promotions and a road map for our future. In addition to the learning aspect of the Experience, the three days will include a trip to the Mississippi Delta, birthplace of the Blues music and a visit to William Faulkner’s House, the Nobel Prize winning author. Questions about the ACT Experience, feel free to drop me an e mail at samir.husni@gmail.com and I will be more than glad to answer all of your questions. Looking forward to seeing you in October. It will be an experience of a lifetime. I asked Ms. Kunes seven questions regarding the magazine’s redesign and reinvention. 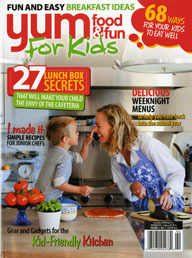 Her answers, although short and sweet, are as healthy and energetic as her magazine. The energy and resilience that you read in every answer is nothing short of an “active, fun, reader-oriented” editor who wants to “infect” her readers by the same bug she has. She wants her readers to do things that are pretty revolutionary. “Actually enjoy living the healthy life,” she says. Yes indeed. What follows is my interview with Ms. Kunes. Samir Husni: Is the magazine moving from a specialized health magazine to a more general interest women’s magazines by adding fashion and beauty to the content? 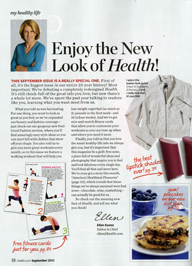 Ellen Kunes: Health has always featured a monthly front-of-book beauty section along with a beauty well feature. Now we’re introducing a new fashion section in the front of book as well as a well feature, and we’re also including spreads in both of these sections, which gives readers a much more exciting visual experience. With our new design and content, we’ve become a full-fledged member of the women’s lifestyle category. SH: Few years back when the magazine moved from SF to Birmingham, beauty was added to the content, but soon after was pulled out? Why do you think this will work now? EK: Beauty was never pulled out nor has beauty coverage ever been reduced: In fact, our beauty paging has consistently increased in size in the past 10 years. SH: Health had a good ride both in terms of circulation and advertising in the last two years. Why mess with success? EK: In this media landscape who can afford to sit on their laurels? You have to push the envelope with every single issue. My great mentor, Cosmopolitan’s Kate White, always taught me to “blow it out”—doing things by halves doesn’t get you anywhere. We’ve been talking to our readers and they tell us they want more beauty, fashion, food and fitness coverage—along with the same trusted, healthy-life advice we’re famous for—and we always listen to our readers. SH: How are you using digital and the web to ensure a print future for Health magazine? EK: We’re so lucky at Health because our web business has 12.5 million unique users, which brings the Health magazine + Health.com reach to a total audience of 20.8 million readers and users each month. We’re also far ahead of our competitors in the social media arena, with 121,800 Facebook fans, and 1.2 million Twitter followers. In addition to bringing us a hefty number of new subscribers each month, we’re able to reach consumers in ways that are both broad and deep—and advertisers and marketers really appreciate that unique strength. SH: The magazine industry is recovering from one of the worst years in its history, how do you see the future of the industry in general and Health magazine in particular? EK: I believe that those magazines delivering an experience that’s original and exciting and is enhanced by other digital platforms are going to continue to do really well—which is exactly what Health does. We’re in complete brand-building mode right now, with a website that both expands on our magazine experience and goes beyond it, giving consumers, marketers and advertisers full-circle, healthy-life information and opportunities. We’re also taking the brand into books, with our New York Times bestseller, The CarbLovers Diet, and What the Yuck? !, both released this month. These build on our brand platform: to give women great new ways to enjoy their healthy lives. SH: In the 1980s the marketplace was flooded with health magazines… today the market has shrunk to a handful of health magazines. What gives and how is today different than the 1980s? 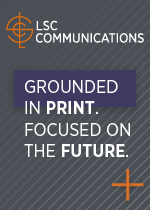 EK: What we’ve discovered is that smart, customized medical content and vital wellness information is incredibly engaging online, while enjoyable, fun, visually-driven, feel-great stories and advice are perfect for print. We’ve learned how to inspire people to enjoy healthier lives using the best possible platforms. Which means that at Health, we now able to reach more than 20 million readers—and that number is growing all the time. SH: Magazines are much more than content providers; they are experience makers. 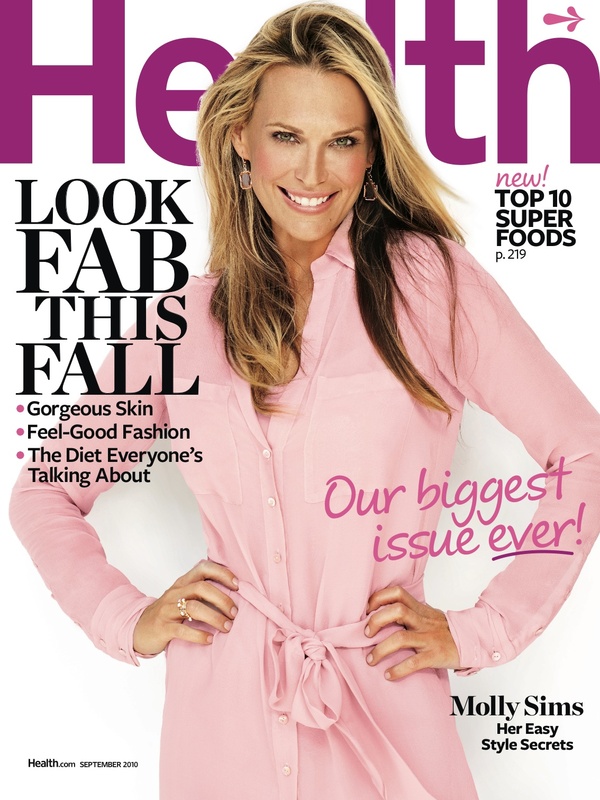 How do you describe the experience readers have with Health magazine and where to you see this experience heading with all the changes taking place with the magazine? EK: Reading Health today is really life-changing for our readers: We know that every minute of every day they want to feel great. When they read Health, they expect smart and fun new ways to stay in shape, look amazing and eat fabulous and healthy food. We help them do something pretty revolutionary–actually enjoy living the healthy life. 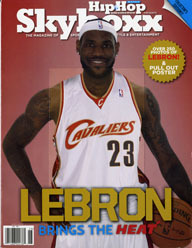 What more could you ask from a magazine? 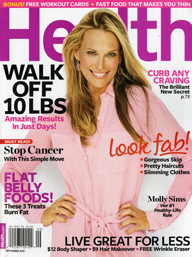 (The pictures above are for Health magazine new logo (now you can see it without the beautiful Ms. Sims head covering it), the newsstands cover and the subscription cover, the letter from the editor page, and Ms. Kunes picture taken by Heather Weston). Don’t forget to register for the first Magazine Innovation Center’s Experience ACT. Click here for information and registration forms. 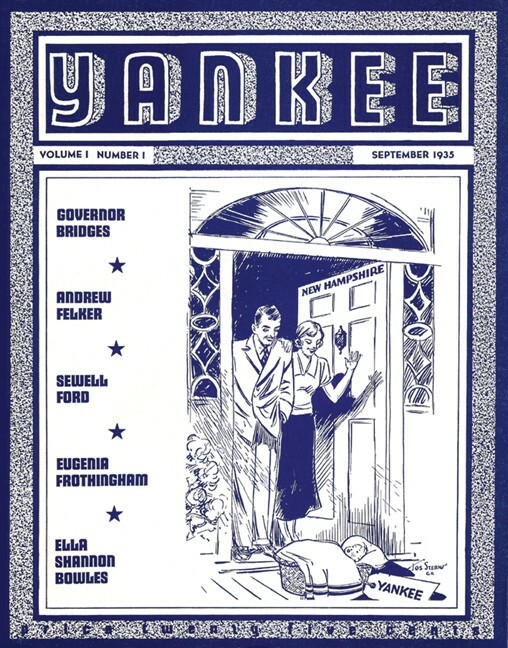 From the first issue 75 years ago, until the present time, Yankee Magazine is one of the few magazines that have been true to its DNA from day one and never veered from the fact that the magazine role was, is and will continue to be “to connect people to New England and all what it has to offer.” Through feature stories and stunning photography the magazine has been a powerful example of the visual impact of print, mixing the best writing it can offer with the best pictures it can show. The mix between those two elements is no more obvious than in this 75th anniversary issue that hits the newsstands later this month. Samir Husni: As Yankee celebrates its 75th anniversary, a major milestone in the life of a magazine, where do you see the future heading for this major regional publication? Jamie Trowbridge: A typical city/regional magazine provides useful information for residents of the city/region. Yankee does more than that. In every issue we demonstrate and celebrate the idea of New England, the values that bind the six states together. As long as the idea of New England endures – and we believe it is stronger than ever – there will be a role for Yankee. SH: Yankee has passed through many changes through the years, what are the three positive changes that you can think of and the three that you wish did not take place? — When Jud Hale took over from founding editor Robb Sagendorph in 1970, he made a commitment to increasing the quality of the magazine’s content that we continue today. There are so many city and regional magazines that are unprofessionally produced or puff pieces. Yankee stands apart. 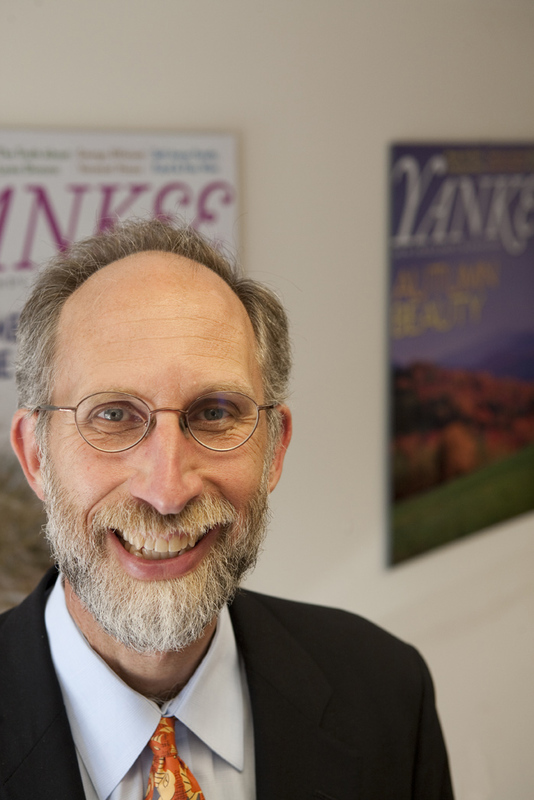 — Continued family ownership of Yankee has allowed the magazine to survive and evolve. I doubt that Yankee would have survived the last decade in the hands of an owner that demanded results in the short term. — In 2007 we changed the dimensions of Yankee from 6” x 9” to normal size. We considered this change for 10 years before we made it. We were afraid our long-time readers would hate the change, and some of them did. But most of them stuck with us, and now we hear positive comments even from some of the readers who were most upset with us. — When we published our 50th anniversary edition in 1985, the introductory subscription price for Yankee was $15. Today it is $14. Competitive subscription pricing from other magazines has depressed our ability to increase price and therefore our ability to invest in more content and pages in the magazine. 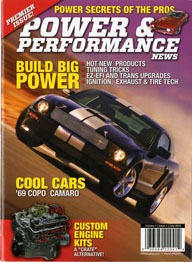 — In 2002 we tipped the balance of Yankee’s editorial content more toward service. We disenfranchised some of our readers who liked Yankee’s features the most. It took us a while to adjust, but we’ve got the balance in about the right place now. SH: The magazine has been the ‘idea generator” for many successful regional magazines, Southern Living and Midwest Living to name two. Why do you think that the copycats have fared better than the ground breaker (circ and ad numbers and revenues)? JT: The first “super regional” was Sunset, which was founded more than 100 years ago. Sunset, Southern Living, and Midwest Living are focused almost entirely on service. 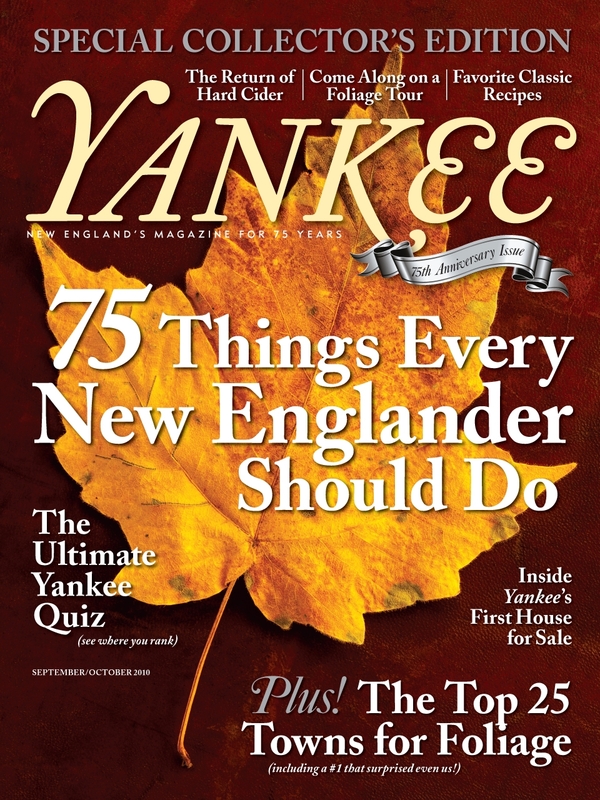 Yankee is different in that it is a general interest magazine about New England. The bigger population bases enjoyed by the other three magazines led to larger circulations, and their focus on service led to larger ad revenues. The population of New England is only 6% of the total U.S. population. SH: Are there any plans to go back to the monthly frequency and the digest size? JT: We’d love to increase the frequency of Yankee, and we’re looking to do it incrementally. This fall we’re launching a “bookazine” called Best New England Recipes. If we can sell enough copies on the newsstand and eventually attract good advertising support to the issue, it’s likely we’d try to offer it as an issue of Yankee down the line. Another idea is to offer digital editions of Yankee in the months that we don’t publish a print edition, but we’re not there yet. We’re creating more original content for distribution outside the pages of the magazine all the time. Despite the fondness we and some of our long-time readers have for the old size of Yankee (6” x 9”), we have no plans to change back. The larger format allows us more room to showcase our stunning photography, and the new design of the magazine makes it easier to browse. SH: Looking back at the DNA of the magazine, what are some of the characteristics of that DNA that are still there and what are some that are missing? JT: I occasionally reread old issues of Yankee and it’s remarkable how little the subjects covered in the magazine and our approach to covering them has changed. The most notable difference is that we’ve cut way back on fiction and poetry, which were at one time regular features. Also, we don’t write pure history stories any more, although every story we publish connects in some way to the region’s rich and interesting history. SH: What are you doing to ensure a print future for Yankee in a digital age? JT: We’re focused on producing great content and distributing it however our customers want it. We expect at least a subset of our audience will want to receive Yankee in print form for a long time to come. The big question down the road is what will we have to charge them and will they be willing to pay a premium to receive the print edition? SH: What are you doing to keep the grass roots operation at Yankee well, alive and kicking? JT: Yankee Publishing has a team of 50 employees working to publish Yankee Magazine and The Old Farmer’s Almanac in Dublin, New Hampshire, a town with only 1,500 residents. We’re committed to offering these good publishing jobs in this remote corner of the country. JT: Like most magazine publishers today, we’ve already transitioned to being more than just a magazine. I expect we’ll have to extend our operation even farther to be successful 25 years from now. If we think of our mission as connecting people to New England and all it has to offer, regardless of how our customers choose to make that connection, we should be able to celebrate our 100th anniversary in style. SH: If someone comes to you today and said, ‘I would like to start a new magazine…” what advice would you give that person? JT: This happens with some frequency. I always start by telling the future publishers to do their homework about the magazine industry. Then I tell them that many of the new magazines that succeed are started by people that “don’t know better.” Especially today, when so much in our industry is changing, the door is open to a magazine publisher who wants to invent a new way of succeeding. SH: How are you using digital to enhance and enrich the brand Yankee? JT: Of course we have YankeeMagazine.com and other Web sites, we are using social media to extend our audience, and we’re looking at mobile and special applications for e-readers as possible investments. We see great potential for ecommerce through our digital channels, whether it be selling content, products (both our own and others’), or experiences. There are people who love New England all over the world, and new digital technologies are allowing us to identify and interact with them. July was indeed nothing but hot, temperature wise and in the world of new magazine launches. Would you believe me if I told you that there were more new magazines arriving for the first time on the nation’s newsstands in July more than 2009, 2008 and 2007 respectively? The hot month of July witnessed the birth of 68 new titles, from which 21 magazines were published with the intention of having a frequency of four times or more per year. Compare that with 58 titles in 2009, from which only 12 had the intention of publishing four times or more per year. And if you think July 2009 was a bad year in comparison to 2010, look at the numbers from 2008 and 2007: A mere 34 titles were launched in July 2007, from which only 10 had the intention of publishing four times or more. 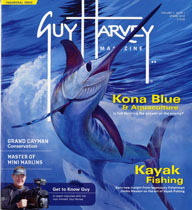 In July 2008 54 magazines were launched and only 13 had the intention of publishing four times or more. The ink on paper magazines pictured above are but a sample of the vibrant and resilient power of new magazines that continue to arrive to the marketplace regardless of what new platforms are invented, being invented or yet to be invented. Every new magazine is a new invention worthy of being checked out, and at the price you pay for such inventions, you will have plenty to be thankful for and happy about. 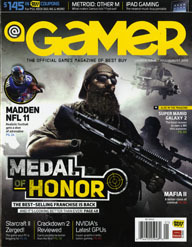 Pick up a hot magazine today; it is guaranteed to cool you down. Enjoy. By the way, check out the Magazine Innovation Center’s first Magazine Experience this coming October here. 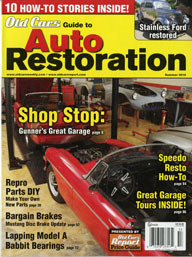 You are currently browsing the Mr. Magazine blog archives for August, 2010.